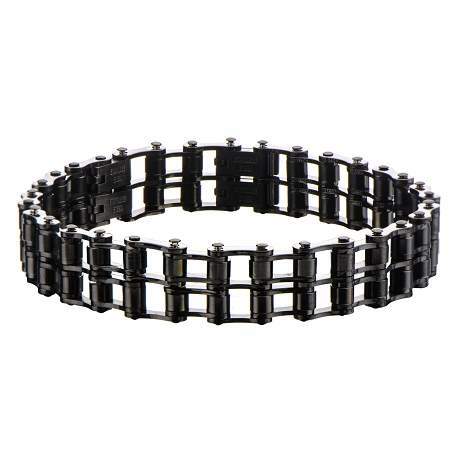 Men's Stainless Steel Black IP Double Motor Chain Design Bracelet is a perfect gift for your gear lovin man! The detail on this bracelet will sure to please his masculine taste. Loved this item and my motorhead man loved it too! I was particularly impressed by the removeable links to customize the size. It was great being able to do this ourselves! Overall quality was excellent. Impressed by the weight of the stainless steel. Feels very substantial when worn. Great service...timely delivery.